Trafford Music Service, a non profit organisation- making music accessible for every child. The BBC are holding a national music day on 15th June to celebrate all things musical. This year the theme is ‘The Power of Music’ looking at how music brings people together and how it makes us feel amazing! Throughout the country, Blue Plaques are being awarded to celebrate local music legends. Here in Manchester a Blue Plaque is being unveiled in Didsbury at the flat which saw the beginning of Factory Records. The BBC’s project, Ten Pieces, will play a large part during the day as 263 schools and almost 50,000 pupils across the UK will take part in special Ten Pieces assemblies as well as lots of schools up and down the country attempting to break new musical world records! Please let us know if your school is taking part – we’d love to hear all about it! We are thrilled to be taking a wonderful group of children from Trafford Music Service on a residential trip to Plas Menai Water Sports Centre in Wales for children in Years 5 – 13. Have a wonderful time everyone, we can’t wait to hear all about it! Trafford Music Service provided holiday provision during half term. A mixture of children across KS1 and KS2 came along to the Claremont Centre to be musical with our staff. Children participated in singing, violin, ukulele, drumming, samba and brass as well as plenty of opportunity for outdoor playtime! We had approximately 35 children who attended each day. Each day began with an art activity organised by Miss McPheely where all the children participated together but, due to the large numbers, KS1 and KS2 spilt up for their musical learning. It was wonderful to work with the children over the three days and to watch them learn new skills, make new friends and grow in confidence. We can’t wait to see you all at Summer School! Well done to all the schools who took part in the Greater Manchester Music Hub (GMMHub)Singing Challenge. ‘Out of the Ark’ were commissioned by the GMMHub to compose a song especially for children in Greater Manchester. This year, the song was called ‘Go to the Park’ and it was lots of fun to sing. 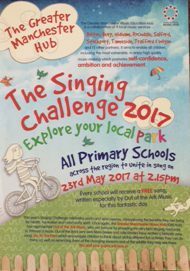 School’s across Greater Manchester and Trafford signed up to the Singing Challenge on 23rd May at 2.15pm, some of our schools even went to the park to sing – we hope you had good weather! Over 1000 children across Trafford completed the Singing Challenge – well done everyone! We cant wait to hear what the Singing Challenge song will be next year! Did you know that we offer infant provision on Monday evening, Wednesday evening and Saturday morning? All of our infant ensembles are working incredibly hard as they prepare for the gala concert on Sunday 9th July. Mrs Shepherd is starting to feel very sad because it is nearly time for her to say goodbye to the lovely Year 2 children and pass them on to the teachers who lead the junior ensembles. We cannot wait for Year 2 to graduate in the concert! Children in Infant Choir and Infant Ukulele have been working hard towards their singing and plectrum licence. We have been thinking of all the different things we need to do to make lots of progress and to be the best we can be. When Mrs Shepherd visited her allotment over the holiday she found a very sad spud hiding underneath the leaves of her potatoes. We have found out that the reason the spud was sad was because he doesn’t know how to sing. Infant Choir have taken on the challenge of teaching our spud to sing and helping him to be the best that he can be. 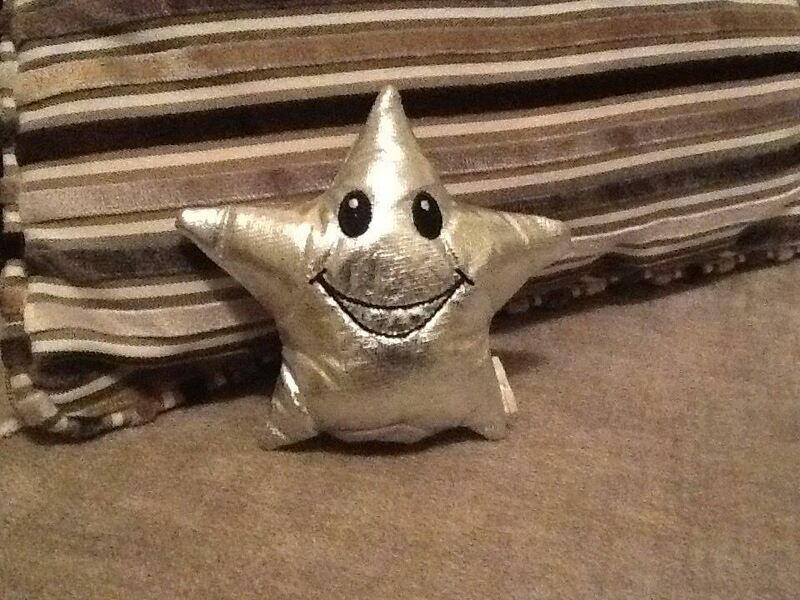 Good luck Infant Choir, you have 4 weeks to turn our spud in to a singing spud! We cant believe that due to the enormous success of ExTraffordganza in previous years it is back again this year for the third year running! 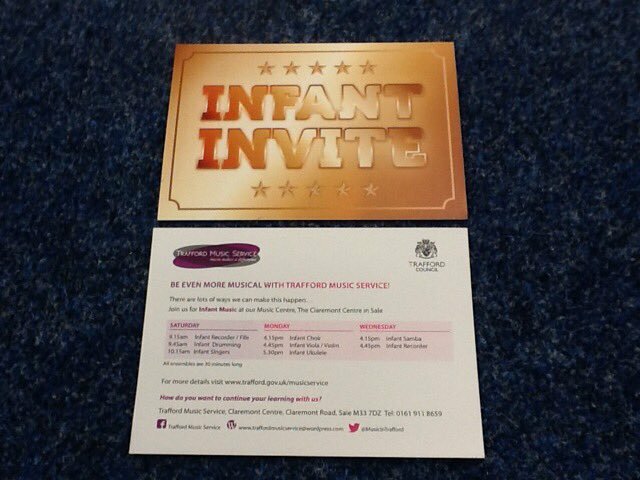 Miss Shipway has been working extremely hard to make sure as many children as possible from across Trafford have the opportunity to perform at the the wonderful Royal Northern College of Music on Tuesday 18th July and Wednesday 19th July. The concert will feature children performing on their instruments, massed singing and performances from TMS staff which will give children the opportunity to hear music from a range of different genres from a string quartet to a samba band – we can’t wait! Finished work for the week? Come to The Bridgewater Hall and let the Hallé and a specially formed massed choir start your weekend with inspiring music from television and film. What a wonderful way to start your weekend! This term sees many of our students preparing to take ABRSM instrumental examinations at the Claremont Centre in July. All of the TMS instrumental teachers are working hard with your children to help them to prepare their pieces, memorise lots of scales and get ready for their aural tests. We would like to wish all our pupils the very best of luck as they work hard towards their exams. We are entering an extremely busy period at Trafford Music Service as we prepare for ExTraffordganza, our Gala concert, students entering ABRSM exams and a residential trip to Wales to name but a few! Come and join in with the singing challenge! Everyone at TMS is really excited to be taking part in the Greater Manchester Music Hub (GMMHub)Singing Challenge. ‘Out of the Ark’ have been commissioned by the GMMHub to compose a song especially for children in Greater Manchester. This year, the song is called ‘Go to the Park’ and it is lots of fun to sing. School’s across Greater Manchester have signed up to sing the singing challenge song on 23rd May at 2.15pm, some schools are even going to the park to sing! Good luck everyone, we can’t wait to hear you sing on 23rd May! The BBC are holding a national music day to celebrate all things musical. This year the theme is ‘The Power of Music’ looking at how music brings people together and how it makes us feel amazing! The BBC’s project, Ten Pieces, will play a large part in the day as 263 schools and almost 50,000 pupils across the UK will take part in special Ten Pieces assemblies as well as lots of schools up and down the country attempting to break new musical world records! 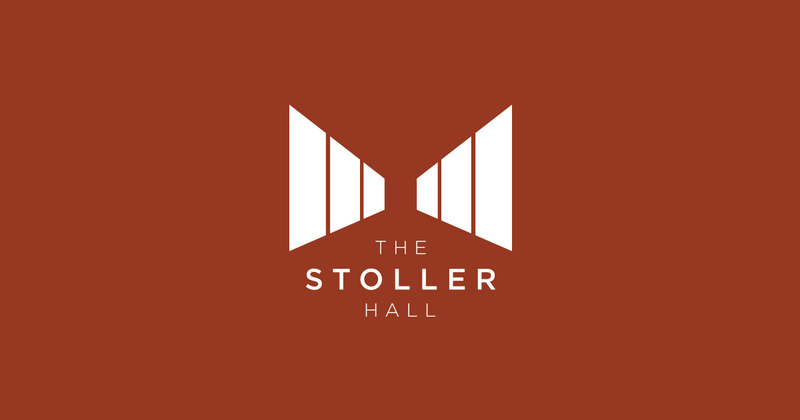 TMS were delighted to join forces with young musicians from across 10 Greater Manchester boroughs to perform at Stoller Hall, the new performance venue, at Cheetham’s School of Music. Everyone came together to perform a specially written piece orchestral piece called ‘City Always Being Rebuilt’ by Michael Betteridge. Three performers represented TMS in the orchestra Bethany James, Timothy Bell and Theo Chappell. It was wonderful to be involved in this special concert and to play a commissioned composition that was specifically written for the children of Greater Manchester – what a fantastic experience! TMS will soon be lauching a brand new website which will allow you to access all of our provision and keep up to date with our latest news. We are so excited about this, keep your eyes peeled and we will let you know when the website goes live! Thank you to everyone who has registered with Easy Fundraising, every penny helps! 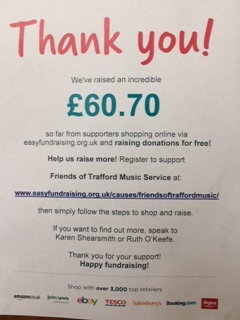 It costs you nothing, just 2 minutes to register, and every time you shop we receive a donation for Trafford Music Service which will be a massive help to our fund raising enabling us to support children in Trafford learn musical instruments . All money raised will help to support residential music trips both in the UK and abroad as well as providing bursaries for less fortunate children and refurbishing our musical home, the Claremont Centre in Sale. Register here and don’t forget to click through when ordering on line! This year, our charity of the year is 42nd Street. Trafford Music Service, wants to help raise the awareness of this amazing charity and enable our young people understand that there is support and where they can find it. They are a charity based in Manchester and they support young people under stress. They work with young people aged 13 – 25 living in Manchester, Salford and Trafford providing a range of services including counselling, individual support, group work and volunteering opportunities. 42nd Street is an innovative Greater Manchester charity with 35 years’ experience of providing free and confidential services to young people who are under stress or experiencing mental health difficulties. We share our expertise with other professionals via training, consultancy and research. Improve awareness of the mental health needs of children and young people among other professionals and the wider public. 2,570 Counselling & Therapy sessions to 292 young people. 4069 Individual Support sessions to 463 young people. 617 Key Work sessions to 241 young people. 14 long and short term group work programmes, 300 sessions to 328 young people. 26 community-based mental health promotion, arts or issue based group programmes, 248 sessions to 603 young people. Responded to 1130 helpline calls from young people, parents/carers and professionals. Training to 20 organisations to 949 participants. Dedicated schools service in 8 Greater Manchester Schools. 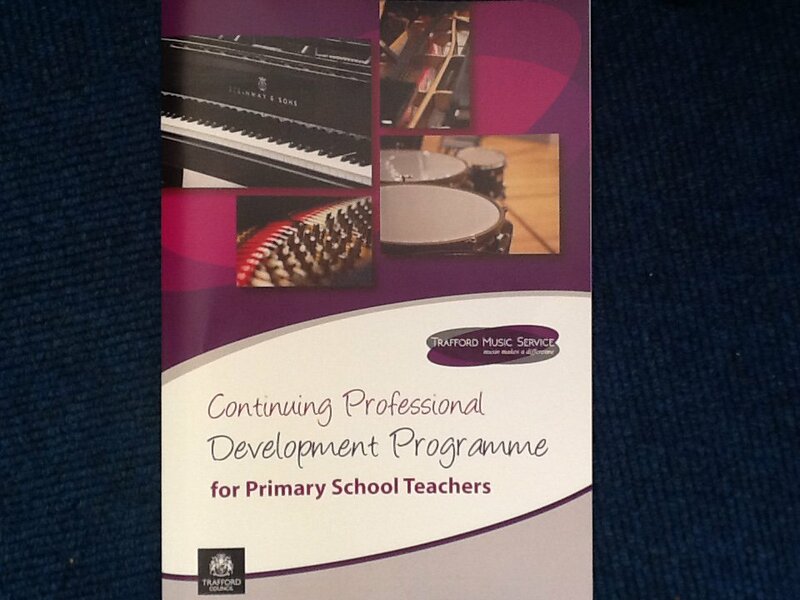 As we approach the end of the spring term both pupils and staff at Trafford Music Service are all working extremely hard in preparation for their wider opportunity instrumental project concerts and instrumental ensembles concerts at the Claremont Centre. TMS staff have the pleasure of working in lots of primary schools across Trafford delivering Wider Opportunities projects to children across Foundation Stage, Key Stage 1 and Key Stage 2. Each project lasts 10 weeks with a concert during the final week. The projects include vocal development, instrumental technique and musicianship. During the autumn term TMS delivered 39 projects in 23 schools and during the spring term we delivered 61 projects across 25 schools. What an amazing amount of musical learning! Throughout this month TMS are hosting 9 concerts to celebrate our young people and their musical achievements. We have children from our Saturday morning ensembles, the evening ensembles that rehearse in the Claremont Centre, the infant ensembles and soloists and small groups. For concert details, please click on the link below and then on ‘Ensemble Calendar Dates’. 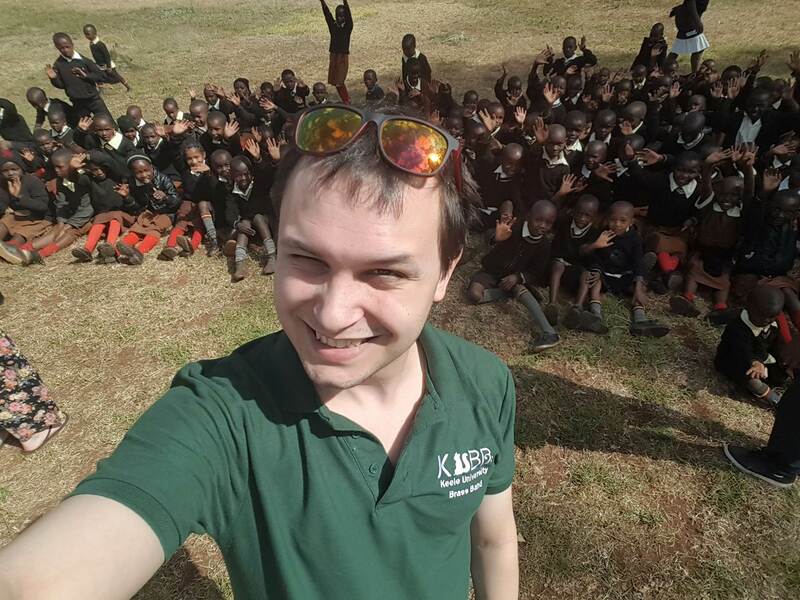 TMS brass tutor, Alistair Gibson, has recently returned from a trip to Africa with the charity ‘Music for Kenya’. 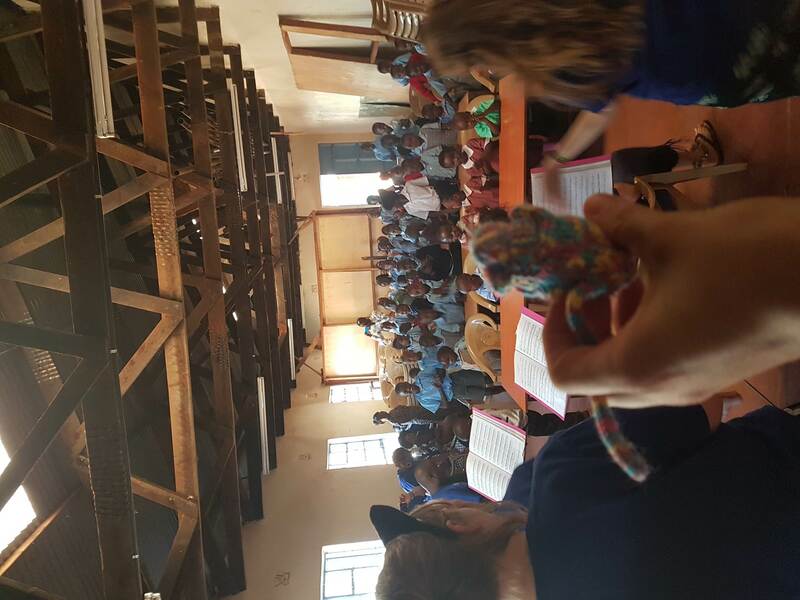 Alistair has written all about his trip for the latest edition of our blog – he even took the infant’s Minim Mouse for her first trip on an aeroplane! ‘From the 15th – 29th of January 2017 I was lucky enough to take part on a charity trip with the charity Music for Kenya (www.musicforkenya.com). 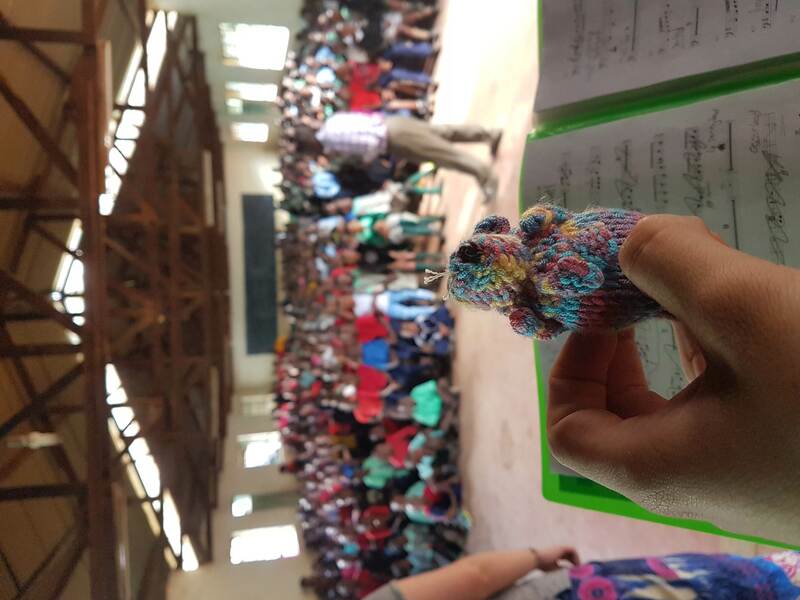 Music for Kenya was started by Violinist Jessica Hall in 2015 after she had the chance to bring her Violin to Kenya as part of a trip with the Gathimba Edwards Foundation. 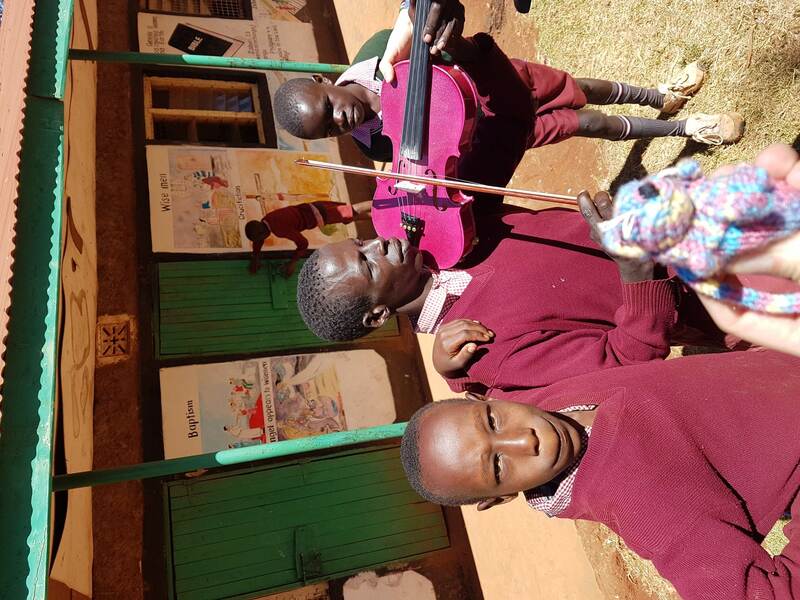 Through this trip she saw how little access to music the children had in Kenya and the joy, excitement and development she saw through the children engaging in music. Our trip in January was the largest the Charity has organised. In our team we had 4 Violinists/ Viola Players, 1 Flautist, 1 Clarinettist, 1 French Horn/ Singer, 1 Trombonist and 1 Percussionist. All of the musicians are professional and having many years of experience in teaching and workshop leading. After landing in Nairobi we met our bus along with our guide Peter and his helpers James and Ester. From here we travelled to Karatina in Nyeri County, where we were staying at the Pavillion Village Orphanage, supported by the brilliant Gathimba Edwards Foundation. The orphanage has been developed over the past few years and now houses nearly 20 young children. These kinds were fantastic, always interested in playing with us, the instruments and our cameras until they could barely keep their eyes open! From here we met with the County Minister for Education who welcomed us to Nyeri County and was very interested in all we were doing. Throughout the week we visited two to three schools a day, doing a workshop in each one. As part of our workshop we introduced all the different instruments alongside activities such as singing, musical drawing and more. Many of the schools also had choirs or solo singers that we were given a performance from. One school had just won first prize with the infant category if the Kenyan Music festival with a performance of nursery rhymes- all with full costume! We also had the opportunity to meet with a choir named the Melody Singers. We had the chance to perform to each other followed by working with each other to learn some new songs. We were also lucky to meet again with the choir at Thompson falls to perform and record some of the songs we learnt! Over the weekend we were lucky enough to go on safari. In Kenya you are aiming to see the ‘Big Five’- Rhino’s, Elephant’s, Lions, Buffalo and Leopard. We managed to spot three of them, as well as Giraffes, Zebras and Warthogs! On the second day we were treated to a water safari where we got see Hippos, Pythons, Sea Eagles and more. From here we travelled to our home for the next week in Iten, also known as the home of champions as it is where all the runners (including Mo Farah) go to do Altitude training 7000ft above sea level. From here we went to four schools (including a special needs school) and a children’s hospital to do workshops. We then split up and took Ukuleles, Recorders, Doods and Pbuzz’s to the schools for the next three days to do some more intense sessions ending with some concerts in the schools to finish up. Bollin school orchestra was formed in January 2015. The orchestra rehearses every Tuesday lunchtime. Throughout this time, the orchestra has increased in numbers so it includes strings, woodwind and brass. There is a real team spirit and all the children help to set up and put away the equipment. In February 2017, they performed in a school assembly. It was a great success and was warmly received from parents, pupils and staff of the school. They played 2 pieces: Beethoven ‘ Ode to Joy’ and ‘Russki’. Any Bollin pupils who would like to join the orchestra would be warmly welcomed. Please see the school office for details. Bollin Samba Club Band has been formed since September 2014. The age range is from year 2 to year 6. They rehearse every Friday 3.30 till 4.00pm. The children are very enthusiastic and helpful when it comes to setting up the instruments. They have made excellent progress since September. In February 2017, they performed in a school assembly. They were confident and kept excellent time throughout. 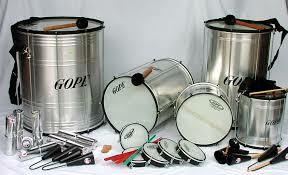 Any Bollin students wishing to join the Samba Club Band are very welcome. See the school office for details. purchased directly from TMS or by phoning 0161 911 8659. 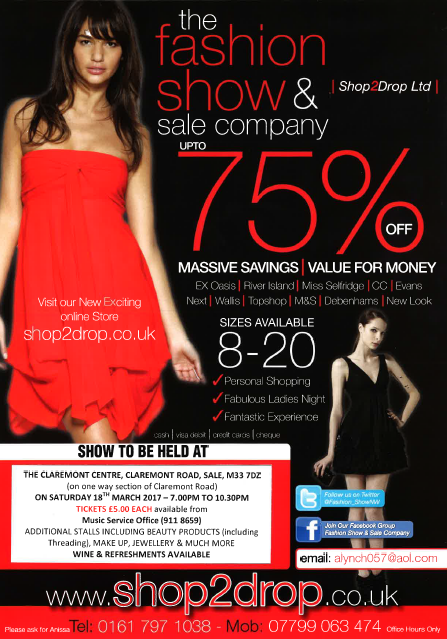 You can make savings of up to 75% on Oasis, River Island, Miss Selfridge, CC, Evans, Next, Wallis, Topshop, M&S, Debenhams and New Look. Come and join us and find a bargain! Thank you to everyone who has registered with Easy Fundraising. So far we have raised £102.99! The spring term is well and truly underway at Trafford Music Service. We are approaching the halfway point for our wider opportunity instrumental projects across Foundation Stage, Key Stage 1 and Key Stage 2 and lots of our instrumental ensembles are busy rehearsing at the Claremont Centre for our series of concerts during March. Throughout March TMS are hosting 9 concerts to celebrate our young people and their musical achievements. We have children from our Saturday morning ensembles, the evening ensembles that rehearse in the Claremont Centre, the infant ensembles and soloists and small groups. 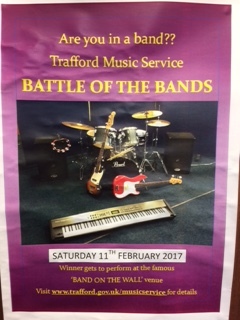 This year, Trafford Music Service’s battle of the bands will be taking place on Saturday 11th February. The evening will start at 6pm with performances from our excellent Rock Academy, followed by the main competition event. Tickets will cost £2 on the door. We will be selecting a winner to represent Trafford at the GM Music Hub Rock and Pop showcase. The rock and pop showcase will be on Sunday 19th February at the legendary Band on the Wall venue in Manchester. If you are in a band and would like to enter, please visit our website via the link below. Did you know that we have over 50 members of dedicated staff working at Trafford Music Service? We are conducting interviews with our staff to help you get to know them a little bit better. Have you always worked at TMS? Yes, This is my first and only job to date. What do you enjoying doing outside the working day? Spending time with my daughter and girlfriend and playing football. Tell us a secret fact about yourself. My mum still makes my lunch for work every day! What is your role within TMS? I teach lots of instruments in lots of schools to lots of different age ranges. My main instruments are clarinet, saxophone, flute and guitar. But I also play and teach drums, piano and ukulele. I also run the TMS Rock academy on Wednesday nights. Have you always worked at TMS? Yep! I left school at 18 and went straight into teaching at TMS in my gap year, I continued to teach throughout my university degree and I’m still loving it! How would you describe your job at TMS in three words? Stimulating, eclectic and fun! Tell us a secret fact about yourself. I once entered the X factor in 2008 with a friend doing really awful singing on purpose to try to get on tv. The TMS Jazz Collective rehearse on a Tuesday night from 5.15-6.15 at the Claremont Centre. Their director Helena Summerfield is keen to recruit new members saying “The Jazz Collective is open to all young musicians who are interested in developing their improvisation skills and want to play music that swings and grooves”. 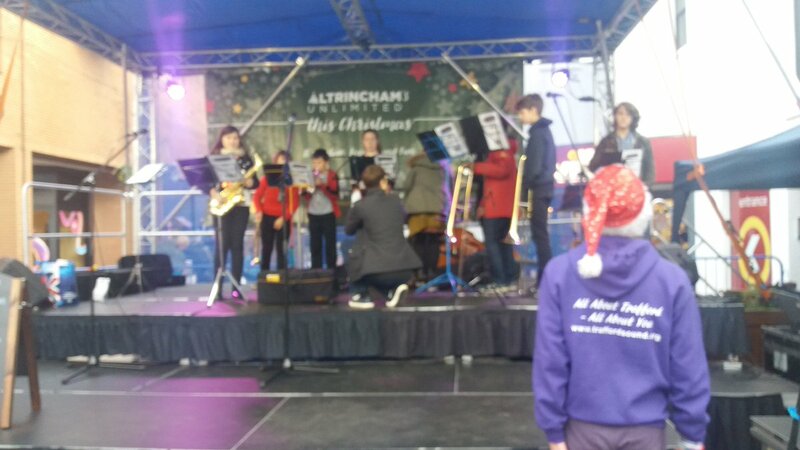 Last term the Jazz Collective enjoyed performing at The Altrincham town centre Christmas lights switch on and the Sale Arts Trail held at the Claremont Centre. They really enjoy bringing their music to new audiences. This term the Jazz Collective’s repertoire has been influenced by the music of street brass bands such as “Mr. Wilson’s Second Liners”, “The New York Brass Band” and “Back Chat Brass”. They are looking forward to performing this new music on 26th March at the Spring concert – Robert Bolt Theatre, Sale. Why Should You Play a Brass Instrument? Read on to Find out from TMS brass tutor, Becky Jones. We all know that brass is the coolest family in the music world, and I’m sure I don’t need to remind anyone of all the great reasons to play as part of, but just in case I do… As the newest member of Trafford Music Services Brass Team, I am making it my mission to make our Brass Department the biggest in the Hub. 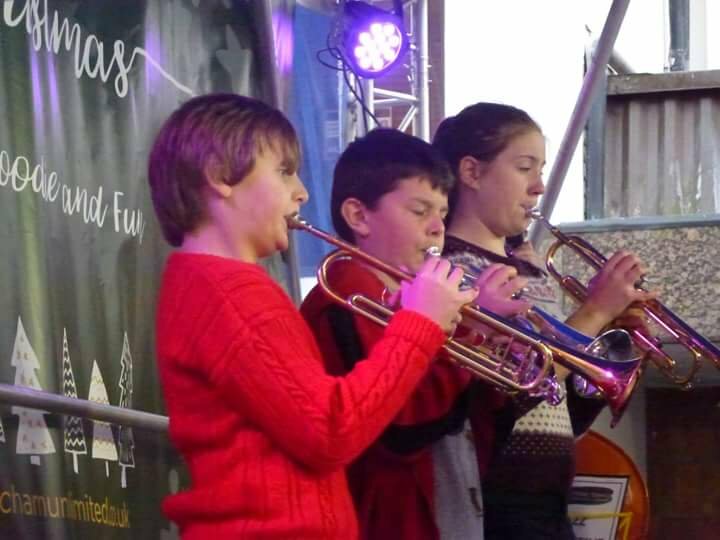 I have been playing the trumpet for fifteen years, starting on the cornet at the age of eight in my local Brass Band, whom at the time were currently 4th section, I have since left and re-joined where I now play Solo Cornet for the same, now 1st section band. Playing the cornet in a Brass Band has introduced me to the competitive side of banding, a few weekends a year we travel across the UK to compete against other bands for prize money and of course…sheer pride. Brass Banding teaches you about positive competition, how to work as part of a team and introduces you to all the pathways in which playing a brass instrument can lead you down. At the age of thirteen, I joined my local Music Service, where I was introduced to the Trumpet, this opened up a whole different selection of ensembles for me to play in; I suddenly found myself in a Brass Quintet, Wind Band, Concert Band, Orchestra and Big Band, I was playing all different genres of music from Classical to Film Music, to Jazz and best of all I had made a whole new group of friends, of which I am still lucky to play in ensembles with now. Before joining the Trafford Music Service team I have been lucky enough to travel around the world with my Trumpet, from Switzerland to Vegas and everything in between. If the musical opportunities side doesn’t sway you towards brass, or the challenge of playing something as large as the tuba; it is a well-known fact that brass is THE coolest family of instruments, if you fancy giving it a go there’s plenty of ensembles at The Claremont Centre for you to try, come along on a Thursday night 4:30-6:30 and give the Brass Band and Junior Wind Band a listen. Radio Debut for TMS Tutor! During the Christmas holidays TMS saxophone tutor Helena Summerfield was invited to record an item for “You and Yours” on Radio 4. Researcher Geoff Bird received a saxophone for Christmas and set himself the challenge of seeing how far he can progress over 3 months using a variety of online resources and one to one tuition. Helena will be invited back to “You and Yours” at the end of the 3 month period to see how Geoff has got on! Thank you to everyone who has registered with Easy Fundraising. So far we have raised £60.70! Happy New Year! We can’t wait to get started this year with new learning and preparation for our Spring concerts. We have been talking to the TMS staff to find out what they are looking forward to this year. 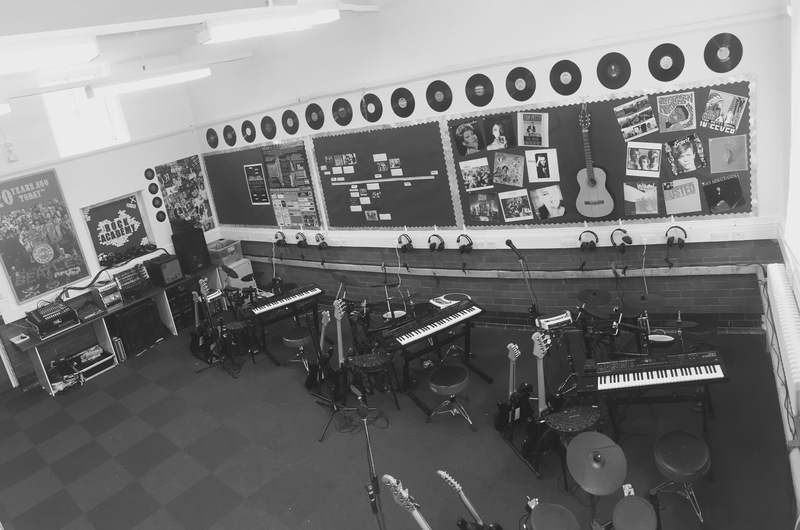 From September 2015 Our Lady of Lourdes Catholic Primary School has embarked on an exciting musical project with Trafford Music Service where every year 4 and 5 pupil has the chance to learn an instrument in a small group lesson. Due to the success of the project, this year the school have extended the opportunity to allow the years 6s to continue these instrumental lessons. At the beginning of the year the students choose to learn the flute, clarinet, trumpet, French horn, violin or viola with their specialist teacher. At the end of every term there is a performance in front of the school and parents. These concerts give the students the opportunity to showcase how they have improved and developed on their instrument. They also have the opportunity to earn bronze, silver and gold certificates if they manage to complete their musical achievement cards. The school have a wonderful support in the music department with Sister Martine who leads a school choir. This choir often performs at the local care homes. We are very much hoping in the future to do collaboration with the choir and the instrumentalists to bring even more music out into the community in Partington. How did you become Head of TMS? I came to Trafford music service in 2005 as a recorder teacher on a Saturday morning. In 2006 I was appointed full time to cover a 6 month maternity leave teaching whole class music lessons in schools in Trafford at the start of the Wider opportunities initiative. In 2010 I was appointed Deputy head of service and then in 2011 appointed as Head of service. Have you always worked at TMS? No before I worked at TMS I was a primary school teacher and was music coordinator there running the school choir and recorder club, and while I was at university I was a care worker in working with children and adults with additional needs. I also worked as a support worker in a local children’s home for children with challenging behaviour. What do you most enjoy about your job? Seeing children enjoying music. Some of my job is tricky and not much fun, but when I attend our music concerts it reminds me what a wonderful job I have. What do you find the most challenging about your job? All the stuff that’s not to do with children! Managing budgets and other paper work when children aren’t around! Do you play any musical instruments? Yes I play Piano and French horn. I learnt tenor horn when I was in primary school and played in Stockport Schools Brass band on a Saturday morning. When I went to secondary school my Tenor horn teacher said I needed to learn the French horn so I could play in the Wind band he conducted, so I learned the French horn too. At my secondary school I stayed every night after school doing music activities. Monday night was choir, Tuesday and Thursday was brass band and Wednesday and Friday was orchestra rehearsals. What do you enjoying doing outside the working day? I love spending time with my family. My little boy, Joel, takes up lots of my time! We love going on walks with our two dogs and we really love going to wales and walking on the beach! Tell us a secret fact about yourself. Ohhh, if I tell you a secret fact , it won’t be a secret anymore! Have you always worked at TMS? No – prior to working for Trafford I worked in secondary schools for 25 years; as a Head of a music dept., Head of a performing arts faculty and an assistant Headteacher. What do you find the most challenging about your job? Time – there never seems to be enough time in the day/week/term to achieve all I wish I could. What do you enjoying doing outside the working day? Cooking, going to the cinema and I’m an avid ‘armchair’ sports fan. Tell us a secret fact about yourself. I was a film extra in the movie ‘Believe’ which is about former Manchester United coach Matt Busby, who comes out of retirement to help a local boys football team and stars the actor Brian Cox. What do you find the most challenging about your job? Cleaning the kitchen!!! How would you describe your job at TMS in three words? Demanding, challenging, rewarding. Do you play any musical instruments? The computer keyboards with a failed attempt at Clarinet – perhaps we should start staff lessons! Tell us a secret fact about yourself. I have jumped out of an aeroplane at 15,000 feet – twice!!! Infant provision at TMS continues to expand and all the infant teachers are delighted with the increased numbers in each group. We have a visual timetable to help us know what is coming next! We know what we are working on in our learning. 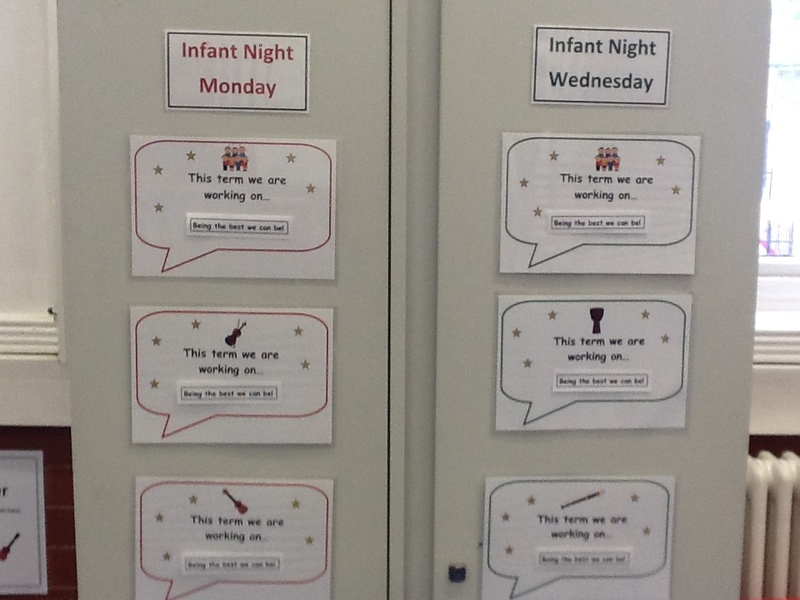 We have asked some of out infant night teachers to celebrate the super learning that is taking place in their sessions each week. This month our focus is Infant Ukulele which runs every Monday night 5.30pm – 6.00pm. On Monday evenings, infants are able to learn the ukulele from 5.30 – 6.00. In the Autumn term, we really enjoyed taking the first steps in learning this fun instrument! All infants are able to strum in time, to play songs using the open strings and to play the C major chord. Some of our group have taken their learning a little further and can also play the F major and C7 chords. Some of our group were also learning with us last year, and they are able to play some even more adventurous parts, and to change between the chords during songs. We all enjoy making music and learning together, and we love it when we have new learners in our group! In the spring term we will be starting to work towards our plectrum licences. We would love to have even more infant learners in Infant Ukulele – come and join us! Did you know that there is a quick and easy way to support TMS to help raise vital funds to support children in Trafford to learn musical instruments? It costs you nothing, just 2 minutes to register, and every time you shop we receive a donation for Trafford Music Service which will be a massive help to our fund raising. All money raised will help to support residential music trips both in the UK and abroad as well as providing bursaries for less fortunate children and refurbishing our musical home, the Claremont Centre in Sale. Thank you for your continued support of the Music Service. 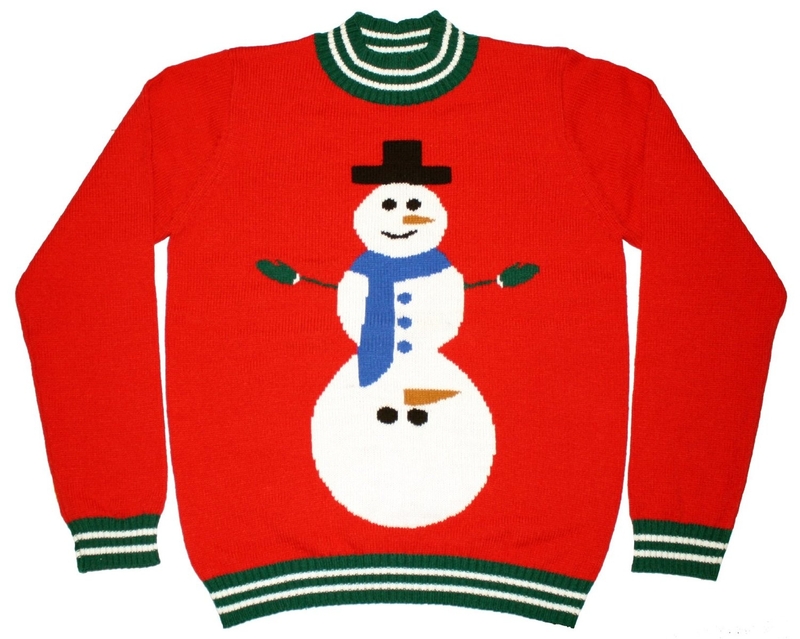 We had a fabulous 75 entries into our Christmas Jumper Competition this year raising a brilliant £75.00 for Friends of Trafford Music Service. Emily Walukiewicz was the lucky winner and has been presented with a Kindle Fire for her efforts in jazzing up her jumper with tinsel, baubles & lights! We are really pleased that so many of our pupils entered into the Christmas spirit and turned up in some amazing outfits and we’d like to thank them and their parents for their continued support! Congratulations Emily – we think your jumper looks amazing! Jampod is a facility that enables many musicians to play in the same room in a virtually silent environment. Each pod consists of an electric drum kit, electric guitar and basses, handsonic percussion module and vocal microphones. The users are plugged in via headphones and can control their own volumes to suit their needs. Here at Trafford music service HQ we have 4 jampods in one room. This term in rock academy we have been getting used to the setup and playing pop and rock songs on all of the instruments. We have formed into bands and at present are learning how to write our own songs. We have a lot of great players and some brilliant singers! Which piece of music makes you want to get up and dance? It’s nearly Christmas-what music is guaranteed to get you on the dance floor during party time? I would say classic party songs like ‘YMCA’, ‘Mambo Number 5’ and ‘Cotton Eyed Joe’ are always a winner. 90’s boy bands and girl bands are my soft spot, any Take That, Backstreet Boys, Bewitched etc and you’ve got me. I love all the Madchester and Brit-pop music, anything by Wham! And also I have been known to party to Showaddywaddy! S Club 7 – ‘Reach for the Stars’! The simple reason….no dance technique required and it gets everybody up on the floor! I love the song ‘September’ by Earth, Wind and Fire. There is a version of it in the Trolls movie so kids will know it too. It’s guaranteed to make me smile and get on the dance floor! Jackson 5 – ‘I want you back for me’. 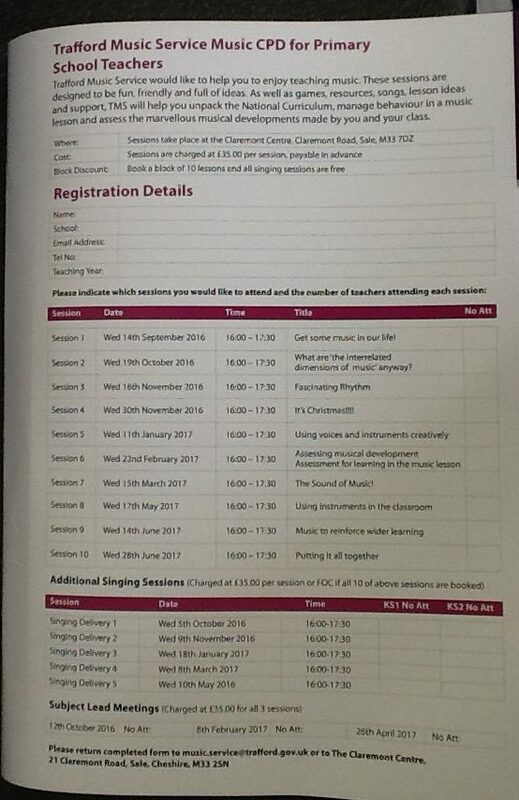 TMS are running a series of CPD courses for teachers across Trafford aiming to help class teachers enjoy teaching music. There lots of different sessions to choose from as well as ‘Subject Lead Meetings’ run by our Head of Service, Ruth O’Keefe. We have asked some of out infant night teachers to celebrate the super learning that is taking place in their sessions each week. Infant Choir began aututmn term rehearsals in September. Infant Choir welcomes children in Reception, Year 1 and Year 2 with 35 children attending on Monday evenings and 20 children attending on Wednesday evenings. I am so proud that over 50 infants come to sing each week, that’s fantastic! Since September we have been learning to look and listen for our learning, stand in our performance rows, follow musical instructions, sing with good articulation and to be the best that we can be. We have been singing our socks off this term to prepare for a fabulous concert with Sale Chamber Orchestra. Have a read below to find out more about our performance! We would love to have even more singers in Infant Choir – come and join us! On Saturday 19th November Trafford Music Service Infant Choir went on tour to perform with Sale Chamber Orchestra at St. Pauls Church, Sale. We were invited to sing by Minim Mouse, the children’s ambassador for the orchestra. 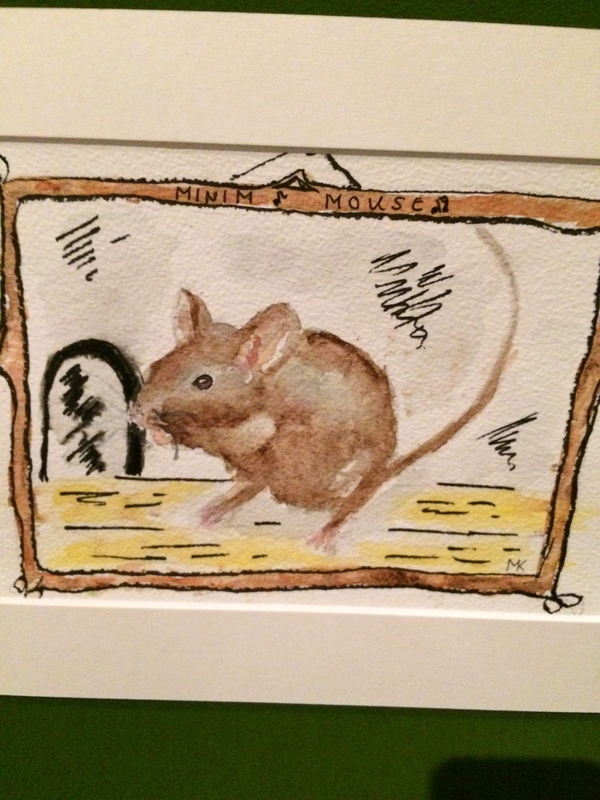 The world famous Minim Mouse! We performed three songs; ‘Christmas Cracker’, ‘The Brussel Sprout Blues’ and a world premier of the Minim Mouse Song which was written especially for us by the conductor of the orchestra, Maestro Richard. We listened to beautiful music performed by the orchestra and a special piece performed by Maestro Richard and the leader of the orchestra, Jac MaKeigue. It was the largest audience we had ever performed for but our posture was amazing, we watched our conductor (Mrs Shepherd) and we sung our socks off! 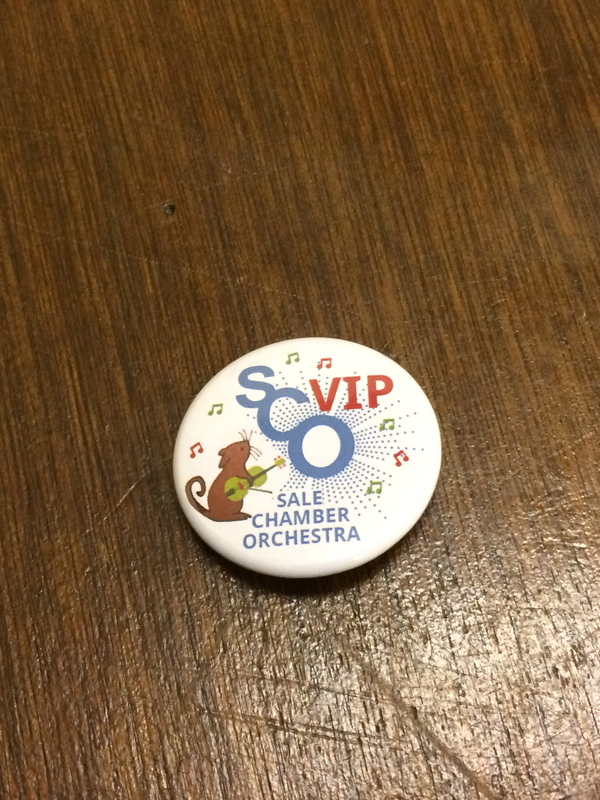 Everyone who performed was given a special VIP badge – we all felt very special! We also met a special storyteller and a famous author, Jacqui Blore, who had written a special story all about Minim called ‘Minim Finds a French Horn’ with the illustrations by a fabulous artist, Mar Van de Kaa. 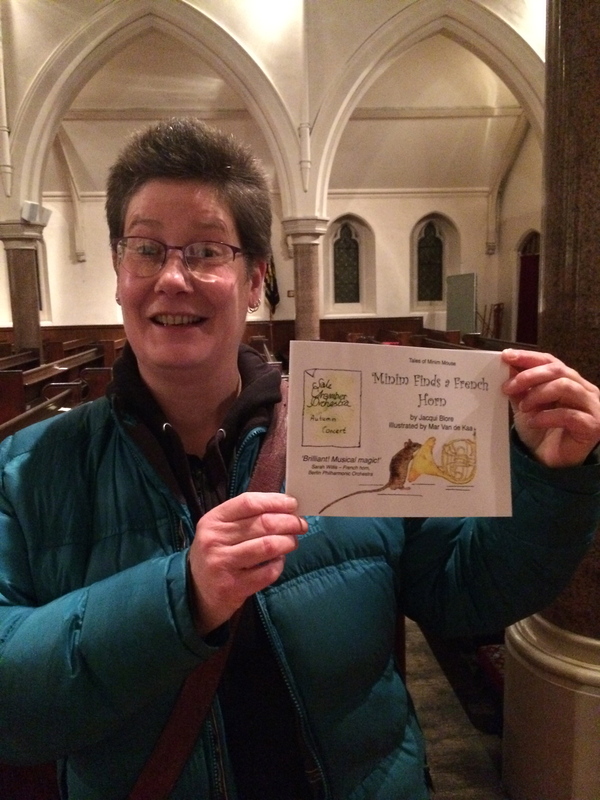 Lots of the infants bought books and their very own Minims at the end of the concert – there was even a Minim hiding in Mrs Shepherd’s flowers! Thank you so much to Sale Chamber Orchestra for inviting us to come and perform, we loved it! 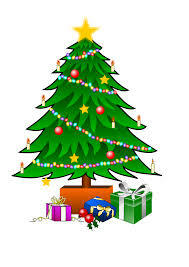 We are expanding our holiday provision this year to include a Christmas School which will run at the Claremont Centre on Thursday 22nd and Friday 23rd of December. SING YOUR SOCKS OFF WITH TMS! Do you love signing? If so then Trafford Music Service needs you! Trafford Music Service has lots of different choirs for you to join depending upon how old you are. 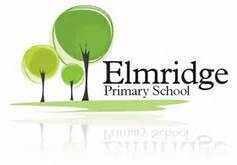 Elmridge Primary School have been working hard this term with Trafford Music Service. Each class (Nursery – Year 6) receives a weekly curriculum lesson and whole key stage singing assembly. In addition, some children have individual or group music lessons. We would like to take this opportunity to celebrate all the wonderful learning that has been taking place. Everyone sings their socks off in singing assembly! Reception have been learning how make musical changes to their performances. 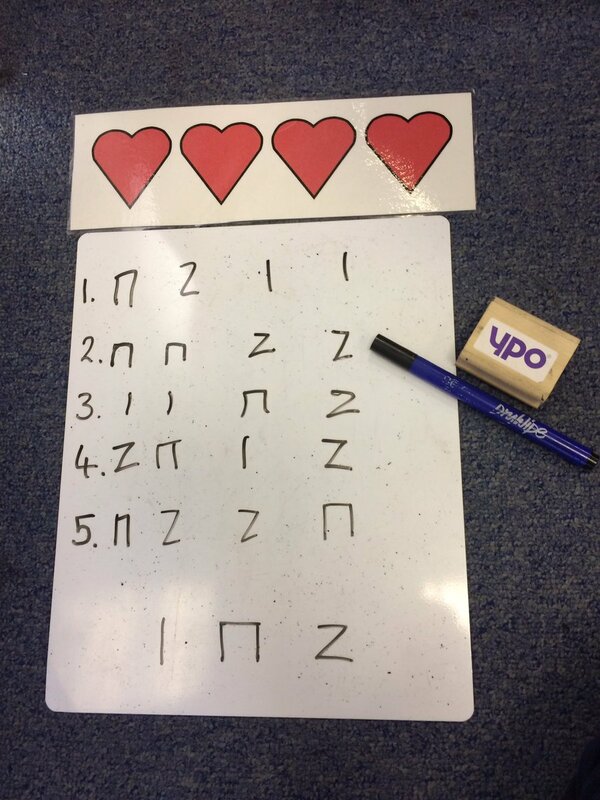 Year 3 and Year 4 have been learning about musical notation. 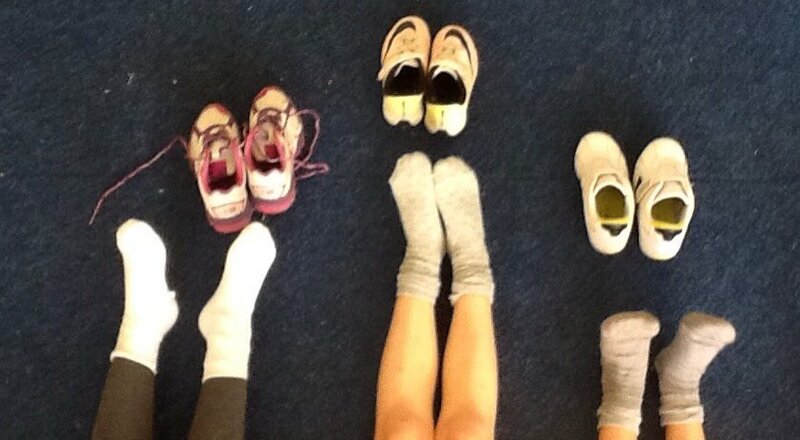 Year 2 have been learning to make their feet musical and move in time to the beat. Year 6 have been working on a Samba project. Nursery have been learning to follow musical instructions, especially start and stop. Well done everyone, you have been so busy with all of your learning! 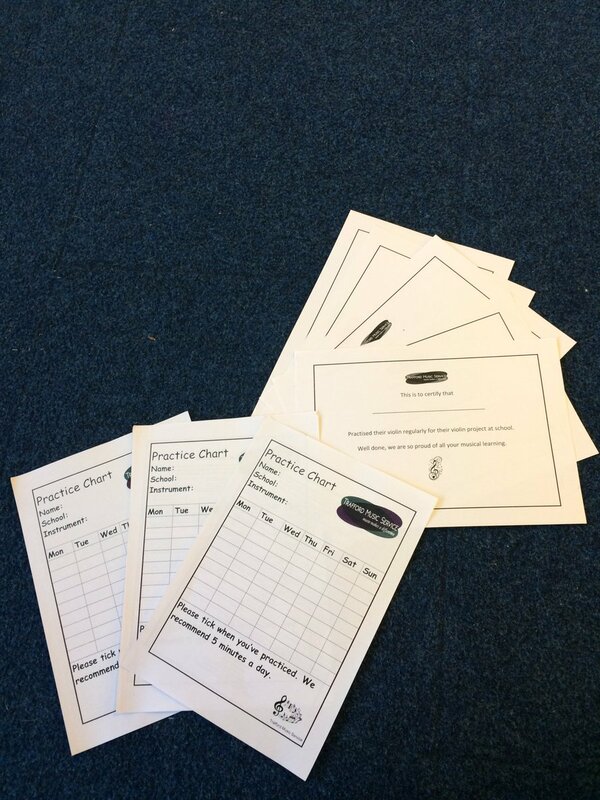 Practice Charts help us to be the best that we can be! This term we’ve wanted to celebrate attitudes to learning! And so we’ve been using Practice Charts to capture all the musical learning and effort that is taking place across Trafford. We’ve been using Practice Charts in some of our Whole Class projects and with our Infant Night violinists. We’ve enjoyed looking each week at regular practice routines and having certificate presentation ceremonies to celebrate practice. 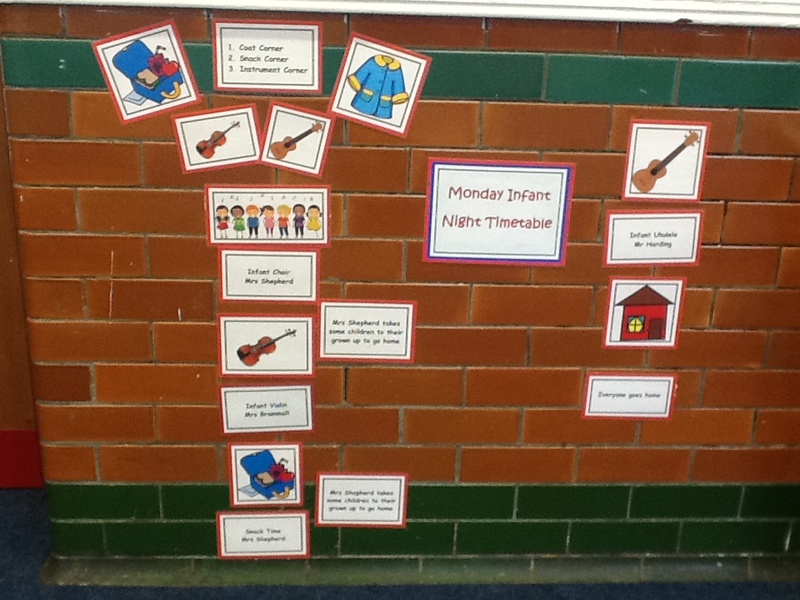 Infant Violins started our new term on Monday 12th September. There are 24 children in Year 1 & 2 learning the violin with Jane Brammall. Each week, the violin monitors hand out the violins are we show that we can get our violin out of its case and be ready for our learning. We have learnt to stand with ‘happy feet’ and we can show rest position and playing position. In playing position, our scroll points to ‘scroll corner’. Infants can now use their thinking voices to follow their teacher and show good copying. We can sing, find and play the musical notes G and D and we can use them to play in time to the musical beat. We can also play “Barney’s Boogie” and “Blue Rock”. When we are ready to play, we make sure we can hear musical silence. And when we finish, we are also listening for musical silence. We are careful with our posture and want to look professional. During Autumn 2 we will be learning the musical notes A and E as well as how to hold our doodle bows. We are looking forward to Spring 1 as we will be learning how to look after our bows and we’ll be working towards our Bow Licence. There will be brand new learning and we are looking forward to our learning challenges. 7 Infants have already made so much progress from last year, that they now receive small group violin lessons. They are all in Year 2 and also attend Infant Choir/Ukulele. They also were presented with their Bow Licences at our Gala concert in July. We can’t wait to hear you again at our next concert! 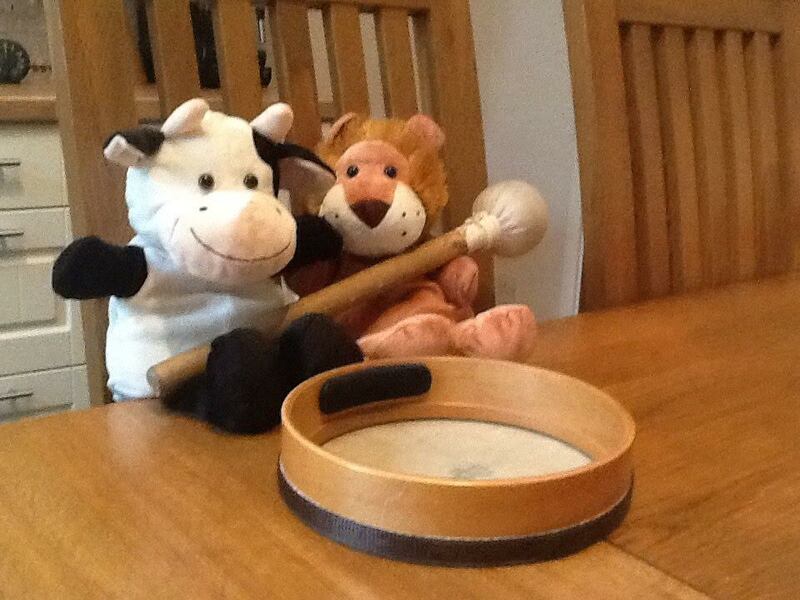 Mr McMinn says that Wednesday night Infant Drumming is the highlight of his week! Wow, what a lot of lovely learning at Infant Drumming. Why don’t you come and join them? 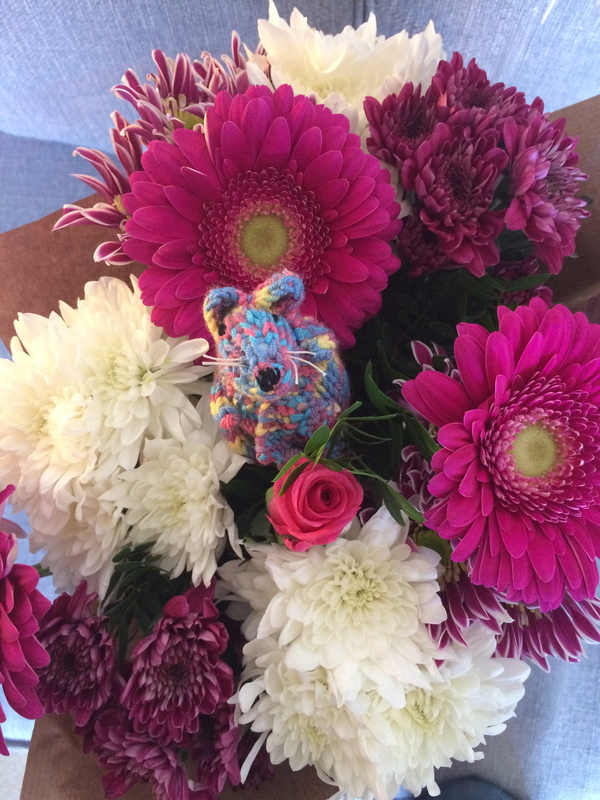 The infant choirs received some very special post over the summer holidays from Minim Mouse, the children’s ambassador for Sale Chamber Orchestra. Minim Mouse sent the children a letter and a wonderful invitation to perform as the VIP guests of Sale Chamber Orchestra in their November concert. The concert will be held at St. Paul’s Church, Sale on Saturday 19th November at 7.30pm.Tickets are available on the door for parents of children in the choir at a reduced rate of £5 each. Ticketed sets are unreserved. We are delighted to be running our successful holiday provision for infants during October half term. Autumn School will take place on Monday 24th October – Wednesday 26th October at a cost of £20 per day and is available to all children in Reception, Year 1 and Year 2. Come and join Clare and Monty, they can’t wait to meet you! ‘I wish that I could…?’ How will you be musical at Autumn School? Junior Strings continues to grow in numbers and Mrs Brammall has introduced a ‘Contribution of the Week’ trophy which is awarded to one member of the orchestra each week. 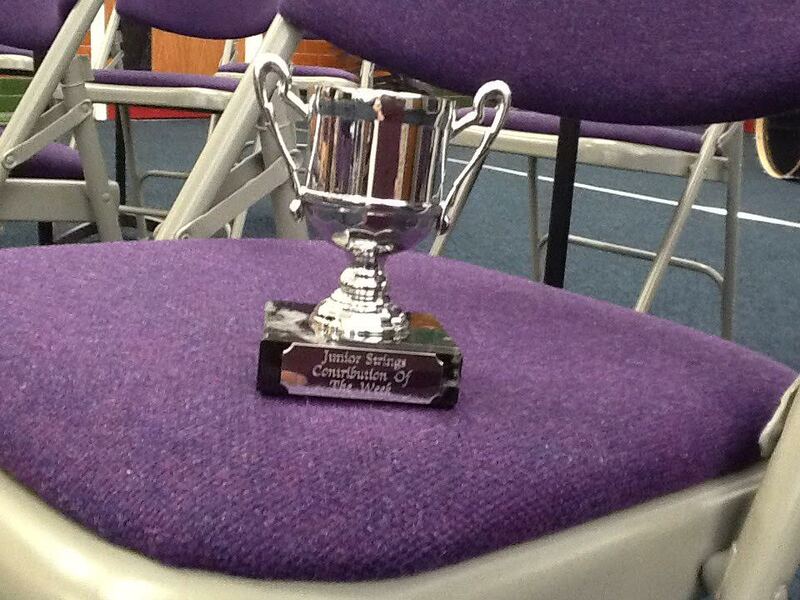 Keep up the good work junior strings, it may be your turn to take the trophy home next week! The infant choirs received some very special post over the summer holidays from Minim Mouse, the children’s ambassador for Sale Chamber Orchestra. 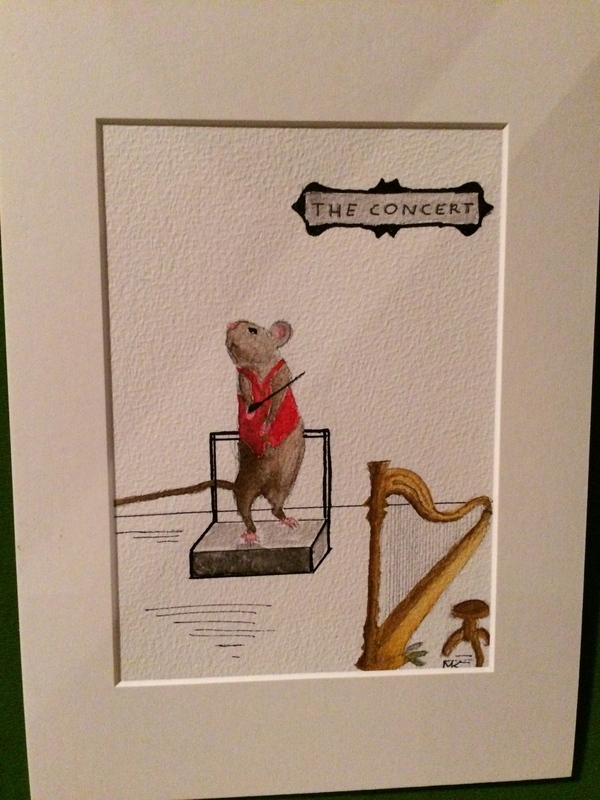 Minim Mouse sent the children a letter and a wonderful invitation to perform as the VIP guests of Sale Chamber Orchestra in their November concert. The concert will be held at St. Paul’s Church, Sale on Saturday 19th November at 7.30pm.Tickets are available via the Sale Chamber Orchestra website. Infant Choir received a very special letter and invitation from a very musical mouse! As well as a letter, the infants also discovered Minim Mouse hiding in the infant room! Mrs Shepherd chooses one child each week to take Minim home. 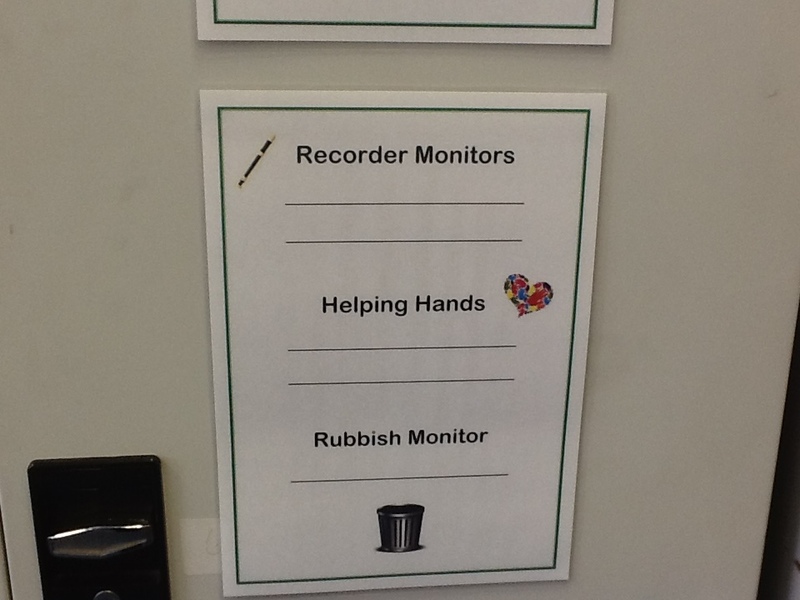 The children have to record how they have been musical with Minim during the week in a special book. Squeaky ta-dah! 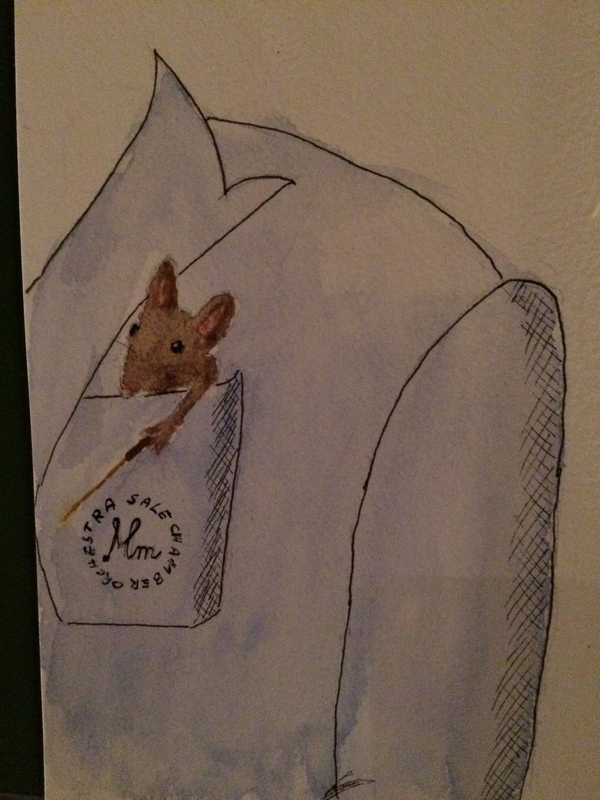 Proudly presenting the famous Minim Mouse, children’s ambassador of Sale Chamber Orchestra. We would love even more infants to come and be musical with us on Monday, Wednesday and Saturday. If you are in Reception, Year 1 or Year 2 follow the link below to our registration page. Did you know that we host yoga classes at the Claremont Centre? The classes are run by qualified yoga teacher, Nidhi Minocha every Friday during term time. With the Summer Gala concert and ExTRAFFORDganza fast approaching, Trafford Music Service is a very busy place at the moment! Our ensembles are busy practising their pieces and the teachers are all practising their performances for ExTRAFFORDganza. In this blog, we will be catching up with some of our staff, learning about our Guitar Ensemble and seeing how concert preparations are going at the Claremont Centre. We will also catch up with Jeremy Sleith, the Head of St. Helens Music Service. He will be telling us a bit about what being in charge of a music service is like! 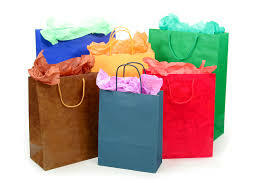 Summer Gala – this will be held at the Claremont Centre, Sale on Saturday 9th July and will feature TMS ensembles. ExTRAFFORDganza – this will be on Thursday 14th July at the Royal Northern College of Music in Manchester. Acoustic guitars, electric guitars, bass guitar, drums. ‘Reptilia’ by the Strokes, ‘Paperback Writer’ by the Beatles, ‘Adventure of a Lifetime’ by Coldplay, ‘Beat It’ by Michael Jackson. Any guitarists who are confident with open chords as well as players who are looking to perform some more lead guitar parts. Come and try it out! What do you enjoy most about Guitar Ensemble? Seeing students enjoying the repertoire and working together to develop the arrangements. Also, preparing for the concerts and seeing the performances come together. What would you say to someone who was thinking about joining Guitar Ensemble? If you like the idea of playing in a band, then you’ll get a lot out of Guitar Ensemble. The experience of playing with other musicians is one of the most enjoyable elements of learning an instrument! In the last blog we showed you the beginnings of our preparations for the gala concert with our new ‘Ukulele plant pots’ – Look at how they are getting along! WHAT’S YOUR FAVOURITE SPORTING ANTHEM? Suzie Waller says ‘Soul Limbo’ by Booker T and the MGs- the cricket theme tune! Will Rogers says ‘The Chain’ by Fleetwood Mac (as used in the F1 coverage). Tom Payne says it was a tough choice between ‘Chelsea Dagger‘ by the Fratellis, Handel’s ‘Zadok the Priest‘ (the Champions’ League theme tune) and the Chas and Dave classic ‘Snooker Loopy‘. Stay tuned for more sporting musical moments next time! 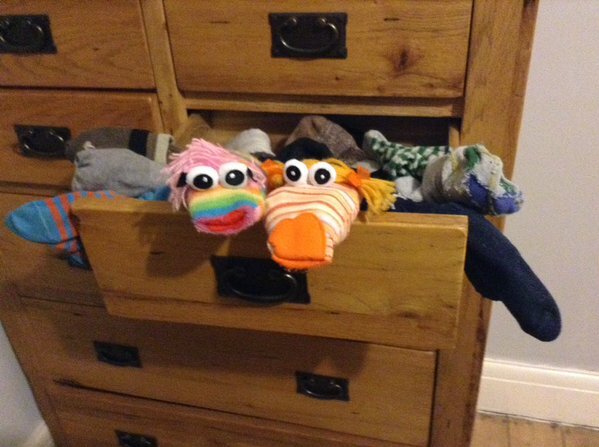 “I wish that pupils at the Claremont Centre would bring some of their younger brothers and sisters along to join in with Infant provision and Sound beginnings”. Where do you work? And what is your role? Why did you decide to work for a music service? When I was still at school I felt that I might want to become a teacher. After Music College I knew that I wanted to use my skills as a performer to help young people find out about and develop a love of music and musical skills for themselves rather than be a music teacher in a school so looked for a job within a music service. What do you enjoy most about being the Head of a Music Service? When I was a teacher I had a large number of students I watched mature and develop as people and musicians and I took pride in the part I played in these developments. As a head of service I am now responsible for these developments for a much larger group of students, in fact for all the young people our service works with. However, it now also goes much further as I am also responsible for the development of the staff in my team and the schools we serve. How does it make you feel when you are working as the Head of a Music Service? Hmm! Some days it is the greatest job in the world – especially when I get to work with young people and my colleagues at making music but being the boss and the service leader much of my time is dealing with finances, staffing and complying with the regulations and policies the Council impose upon us. These are not the things you go into music or even education for but all essential parts of my job in ensure the music service continues to both survive and develop. That’s why I think it important to try to continue to make music and work with students both in and out of work. What would you say to someone who was thinking about working for a music service? It can be a truly fulfilling vocation and would recommend it to anyone that was interested in it as a career option. It can be a very lonely existence being a visiting teacher to schools as there are few opportunities to be with your colleagues but you can see the impact on the lives and outlook of the young people you work with and very few jobs can give you that satisfaction. I would also say to anyone to get the best training you can get, be it at a music college or university and whilst not every service pays tutors on the qualified teachers scale the training you get from gaining a teaching qualification will really help you be a better teacher. HOW TO BE EVEN MORE MUSICAL WITH TRAFFORD MUSIC SERVICE! 42nd Street is an innovative Greater Manchester charity with 35 years’ experience of providingfree and confidential services to young people who are under stress or experiencing mental health difficulties. We share our expertise with other professionals via training, consultancy and research. There are lots of Golden Tickets flying around Trafford at the moment. Have you found one yet? 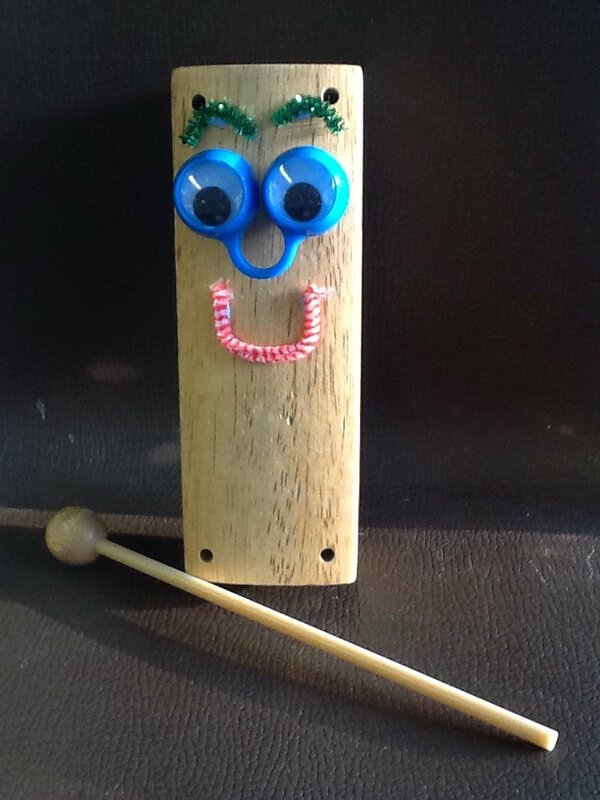 If you find one you will be invited to come along to one of our after school ensembles at the Claremont Centre. Keep your eyes peeled, we’d love you to come and be musical with us beyond school! Did you know that there are lots of ways that you can be musical with Trafford Music Service if you are in Reception, Year 1 or Year 2? There are lots of invitations being given out in schools at the moment. If you receive one, look on the back and see what you would like to do. We’d love to see you at Infant Night orSaturday Infant Ensembles. At Trafford Music Service, we are all getting ready for the Summer Gala concerts and ExTRAFFORDganza! We will hear from tutors Paul Harding and Jane Brammall about how they are preparing. We will find out about Trafford’s Junior Strings ensemble, and the achievements of our young string players. We will also be catching up with our friends at Sale Chamber Orchestra, and learning what it means to be a conductor. We are currently practicing for ExTRAFFORDganza and our performance with the staff band at The Royal Northern College of Music on July 14th. We are looking forward to performing to all the schools and children with colleagues. The staff band includes violins, double bass, recorders, banjo, percussion and brass. We will be adding broomsticks to the performance too on the day! We are playing ‘Harvest Home’, ‘Ragtime Annie’ and ‘The Wind that Shakes the Barley’. Trafford Junior Strings-wouldn’t it be fantastic if you joined?! Trafford Juniors Strings is conducted by Jane Brammall. They rehearse every Monday night at the Claremont Centre 5.15-6.00pm. This is Jane’s 3rd music service having previously worked for Solihull Music Service and Oldham Music Service. Jane has conducted at the National Festival in Birmingham and has rehearsed youth string sectionals for both secondary schools and youth orchestras in preparation for performances at the Royal Albert Hall and Birmingham Town Hall. 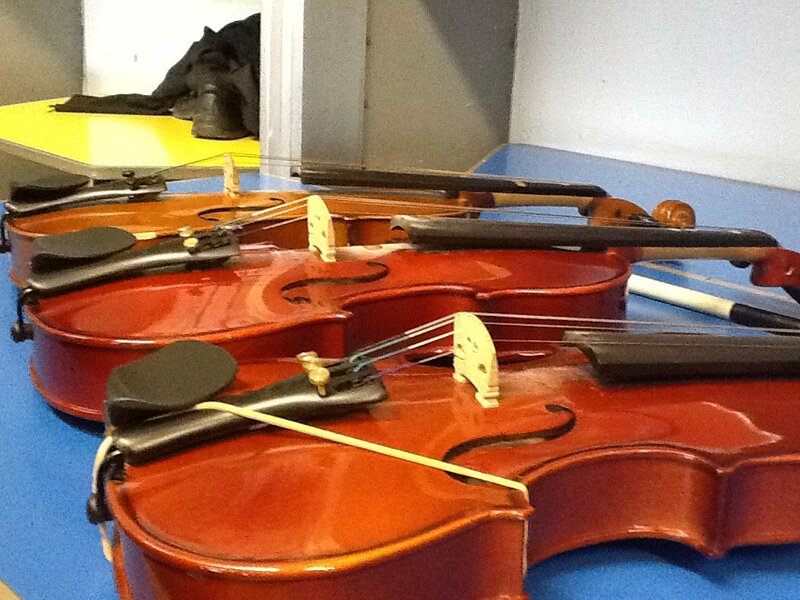 Junior Strings comprises of 1st violins, 2nd violins and cellos. This year, we have members from Year 3 who had previously attended our Monday Infant Night. It is wonderful to see them progressing through our orchestra system. We have played at the Royal Northern College of Music, Sale Grammar and we are now working towards our end of year performance at our Summer Gala, July 9thy. Trafford Junior Strings is perfect for anyone who wants to experience orchestral playing for the first time. Beginners are welcome too and we spend time working on posture, presentation and bowing. We use orchestral pencils every week and we think wouldn’t it be fantastic if you joined…?! I play the ‘orchestra’. I do play the violin also but when I conduct, the orchestra is my instrument. What is your role in the orchestra (and what does that mean)? As the conductor, I stand at the front of the orchestra, facing the musicians, and indicate how fast or slow and loud or soft I’d like them to play. To do this I use a conductor’s baton or just my hands. It means that I can be musical with the orchestra. How long have you been part of Sale Chamber Orchestra? I have conducted Sale Chamber Orchestra for 10 years. Why did you decide to be a conductor? Before being a conductor I used to play the violin and lead orchestras. I hadn’t given conducting much thought until I was asked to do some. I enjoyed it so much I decided to do more. What do you enjoy most about conducting Sale Chamber Orchestra? The musicians are very good and nice to work with. We have a lot of fun and we make wonderful music together. Do you conduct any other orchestras? Yes, I conduct four other orchestras. They are all quite a lot bigger than Sale Chamber Orchestra. We call them Symphony Orchestras. How does it make you feel when you are being musical? Music has always been very important to me. I couldn’t imagine my life without it. Just as we eat food to keep our bodies full of energy, listening to, and making, music feeds my soul and makes me feel happy with life. What would you say to someone who was thinking about joining an orchestra? I call the ‘orchestra’ a miracle. Not just Sale Chamber Orchestra but every orchestra. I’ve played in lots of different orchestras for many years and am still amazed by how it all works. But it does work, and being part of an orchestra is one of the most thrilling experiences I can think of. So I would say all of this to anyone thinking about joining an orchestra because it’s one of the best things you can do. Trafford Music Service is delighted to offer infant and junior holiday provision during the Whit Holidays. Whit School will run for four days during the school holiday from 6th to 9th June for children in Reception to Year 6. During the course the children will be given the opportunity to sing as well as play a selection of instruments. For Infants this will include the ukulele, recorder and percussion instruments. The Junior age students will be learning brass, ukulele and samba instruments. At TMS, we have been really busy getting the plants and flowers ready for the garden at the Summer Gala concerts! Have a look what we’ve been up to…check out the ukulele plant pots! A MASSIVE THANK YOU to everyone who sponsored Paul Harding and Helen Robinson for the Manchester 10k! They completed the course in just under an hour and were able to raise over £600 for Hogar Ermelinda Carrera Orphanage in Peru. Paul Harding says ‘All Together Now’ by the Farm – Everton’s 1995 FA Cup song. On the same theme, ‘Z-Cars’ (Everton’s entrance music) must get a mention, as must ‘Oh When The Saints‘, after my beloved rugby league team, St. Helens. But my all time favourite has to be Puccini’s ‘Nessun Dorma‘, as sung by Pavarotti at the Italia ’90 world cup! !